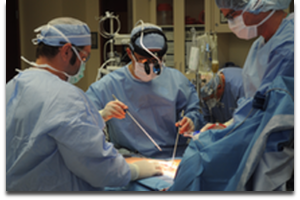 As we’ve continued to describe throughout our site and on our blogs, there are many benefits to getting minimally invasive heart surgery over traditional heart surgery. The main points are with minimally invasive heart surgery, you will have a shorter recovery time, small scarring, better overall health, and some different options to better suit certain preferences (such as bloodless options for Jehovah’s Witnesses). For Dr. Ciuffo’s patients, most are released from the hospital within 48 to 72 hours. Once patients return home, recovery usually lasts for two weeks before patients can return to normal activities. During the two weeks, physical activity is recommended. With traditional surgery, patients can be recovering for six to eight weeks, while their bones heal and body recovers from the much more invasive traditional heart surgery techniques. The cosmetic result of MIHS is the biggest reasons people choose minimally invasive. The incision is only about two inches long and is typically hidden under the fold of the breast. If the incision is not hidden under the breast it can be hidden under clothing very easily. With traditional heart surgery, patients will have a six to eight inch scar down the center of their chest, which is almost impossible to hide. Overall, minimally invasive patients have a much higher overall health benefits including: survival benefits in higher risk groups, better cosmesis, less bleeding and less transfusion requirements, less wound infections and complications, less postoperative pain, faster return to normal activity, and a shorter hospital stay, all which improve the immune system’s chance of overall healing. For certain people, like Jehovah’s Witnesses or those concerned with blood transfusions, Dr. Ciuffo’s MIHS techniques can also be combined with bloodless techniques. If you or a loved one may be interested in learning more about the benefits of minimally invasive heart surgery, contact us today. Call now at (330) 363-1341 or fill out our online contact form.